With the speed and accuracy of 32-bit architecture, CorelDRAW™ 6 provides precision to 0.1 micron, multi-threading, multi-tasking and a workspace of up to 150 feet by 150 feet. Support for a Multi Document Interface (MDI) allows users to open several documents at once or multiple views of a single document. 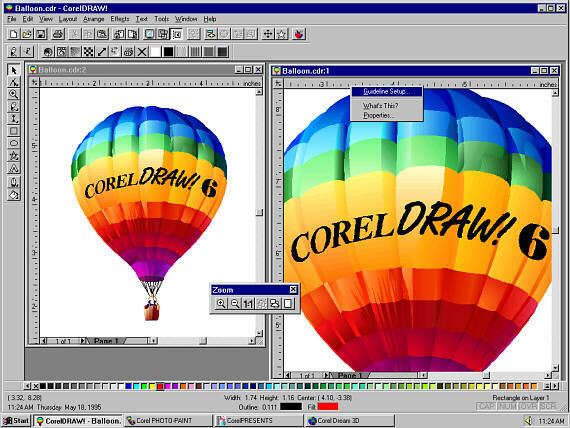 CorelDRAW 6 has a fully-customizable user interface allowing easy organization of toolbars, hotkeys, roll-ups and status bar, plus Wizards and Tutor Notes. CorelDRAW 6 offers fully-featured software applications for illustration, photo-editing and bitmap creation, business and multimedia presentations 3D rendering and animation. 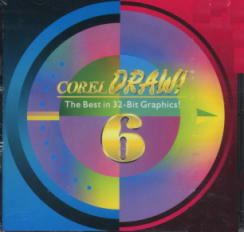 CorelDRAW™ 6: A vector-based drawing application. CorelPHOTO-PAINT™ 6: A paint and photo bitmap retouching application. CorelDREAM 3D: A new 3D modeling animation and rendering application. CorelPRESENTS™ 6: A new business and multimedia presentation application. CorelDEPTH: A New 3D logo creation utility. Corel SCRIPT Dialog Editor: A new utility used to create dialogs that can be used in conjunction with Corel SCRIPT. CorelMEMO: A new OLE compliant utility which gives users the ability to attach notes to their drawings or documents without altering the original graphics or text. Corel FONT MASTER: A new font management program for True Type and Adobe Type 1 fonts. Corel MULTIMEDIA MANAGER™: Used to manipulate and manage files in albums. Corel OCR-TRACE™: An enhanced optical character recognition/raster to vector conversion utility. 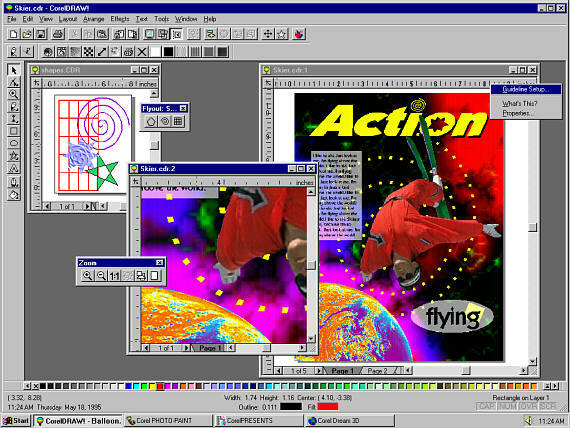 Corel CAPTURE™: Used to capture all or custom areas of a screen. Corel PRESENTS™ Runtime Player: Used for distributing presentations.